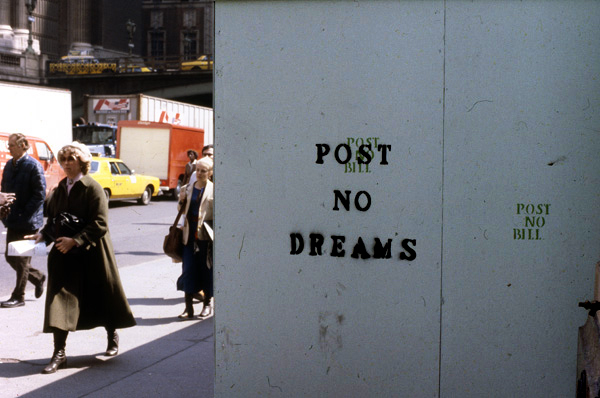 The Post No Bills/Post No Dreams project was one of the first examples of street art culture jamming and subversive advertising. Other stencils created in the series included Instant This Instant That, No TV, Soft Brains Watch The Screen And Buy The Jeans, Doomsday and My Ad Is No Ad. Post No Bills/Post No Dreams was a collaborative and multi-part stencil project that began in December 1978 and continued through February 1979. 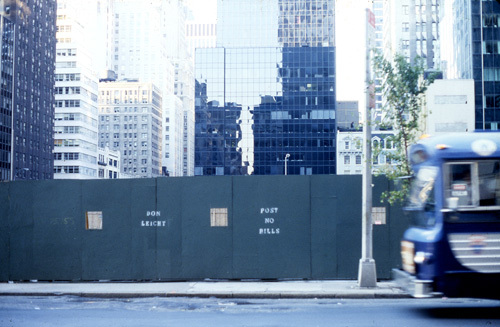 It focused on personal identity versus advertising, addressing not only the center of the corporate advertising world (Madison Avenue), but also making a comment on the gallery system at that time. Bronx artist and collaborator Don Leicht had recently shown slides of his work to a gallery owner on 57th Street and he was abruptly told that, “It’s not possible to get a show on 57th street with this work.” It was then that I decided to surprise him with an ‘street show’ on 57th Street. 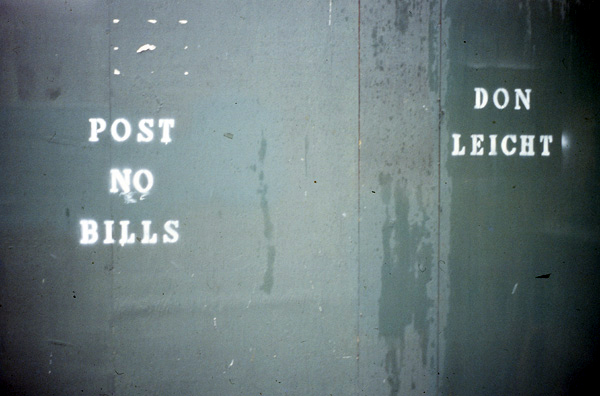 The first two stencils, Don Leicht and Post No Bills were spray painted repeatedly around the block on a clean and empty wooden construction wall for the IBM Building. Don was quite surprised to see the project and a few weeks later the stencils were painted over with green paint by the construction crew, who subsequently added their own smaller version Post No Bill around the block. A few nights later, I returned to the site, this time with Don Leicht, and painted Post No Dreams around the entire perimeter of the construction site. 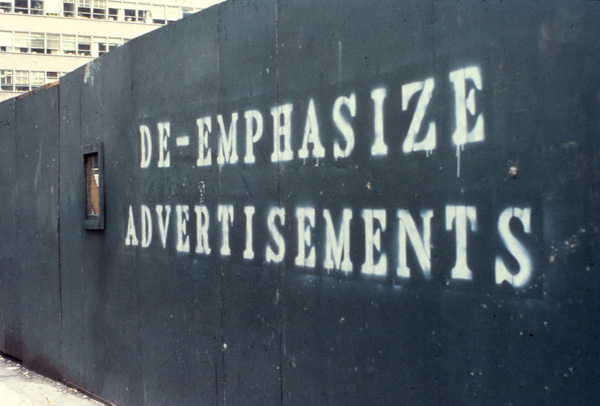 Finally when the construction crew painted that out, I followed with the larger 12” high stencil letters De-Emphasize Advertisements in February 1979 bringing Don’s show to an end and the project to a conclusion.